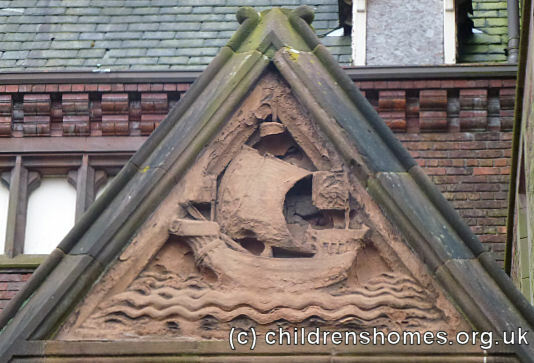 The Liverpool Seamen's Orphans Institution began life at a meeting in the city on December 16th, 1868. It was proposed that money be raised for the from merchants and ship-owners to open a home for the fatherless children of men lost at sea by drowning, or who had died as the result of an accident or natural causes. A leading figure in the scheme was ship-owner James Beazley who promised £500 of his own money if nine others would do the same. His offer was soon matched and within a few months, a temporary home had been rented on Duke Street to house 46 boys and 14 girls. 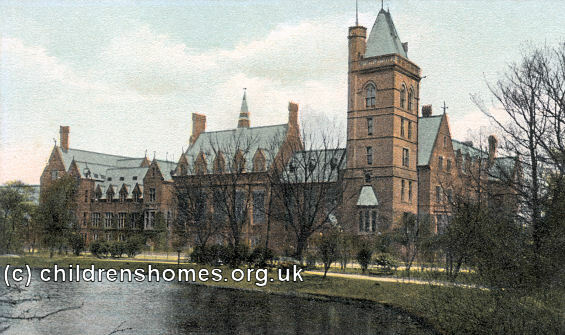 A major step towards a permanent institution came on April 7th, 1870, when a meeting of the Liverpool Town Council offered the charity 7,000 square yards of land for the purpose at Newsham Park. 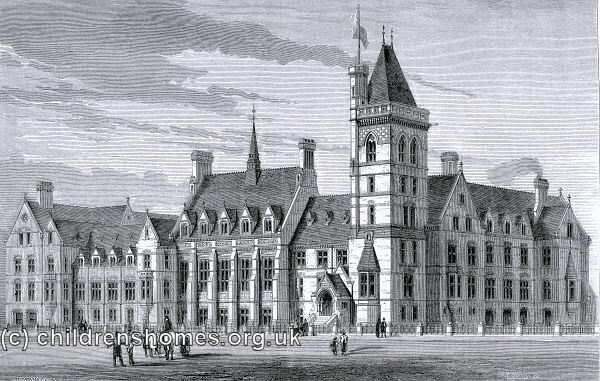 Construction of the new building, designed by Alfred Waterhouse, cost more than £20,000. It was opened on September 30th, 1874, by the Duke of Edinburgh, popularly known as the 'Sailor Prince'. The building's main frontage was almost 300 feet long. A tower, some 25 feet square and about 120 feet in height, stood alongside the entrance. Boys were accommodated in the north part of the building, and girls at the south. 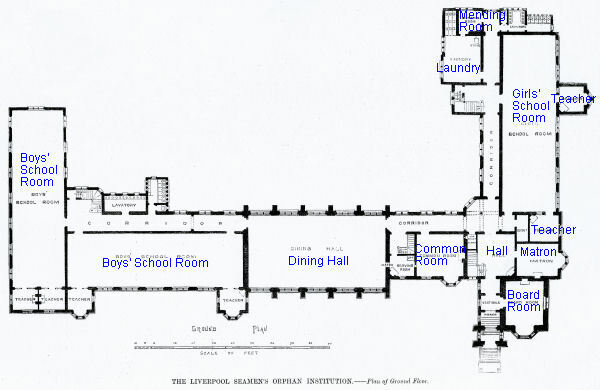 The 'basement' — actually at ground level — included a boys' indoor playground (60 feet by 30 feet) in the north wing and a girls' playground and the laundry in the south wing; the central section contained the kitchen, a swimming bath, and a boys' workshop. The main floor contained two school-rooms for boys, which lay above their playground and workshop respectively, administrative facilities, and the girls' school-room. The upper two floors contained mainly dormitories, four for the boys and two for the girls, each accommodating around seventy children. The location and layout of the home are shown on the 1927 map below. 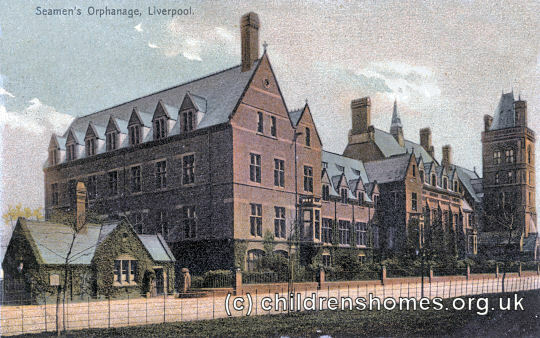 Liverpool Seamen's Orphan Institution site, Liverpool, c.1927. The map identifies the chapel and gymnasium at the north of the site, and a swimming bath and sanatorium at the south. A subway gave access to playgrounds at the other side of the railway line. As well as basic education, girls at the home learned knitting and needlework, while the boys were were taught carpentry. Older boys who were interested in a career at sea could transfer from the home to the training ship Indefatigable which as moored on the River Mersey at New Ferry, Birkenhead. In 1921, the institution was visited by Queen Mary, after which King George V granted it the use of the prefix 'Royal'. Children at the home occasionally put on theatrical productions as shown in the picture below from 1924. During the Second World War, the children were evacuated to Hill Bark, Frankby, Wirral, owned by Mr E.B. Royden, a prominent supporter of the institution. After the war ended, there were problems in the home resuming its operation. Newsham Park had suffered considerable damage from wartime bombing, including destruction of the chapel. In addition, there 1944 Education Act required that children above and below the age of eleven now be educated at separate schools. Finally, demand for places at the home were falling and its financial problems were increasing. In July, 1949, the orphanage was closed and the children transferred to other establishments including the Royal Merchant Navy School near Wokingham. Many went to the Royal Merchant Navy School at Bearwood, with their fees being paid by the charity. 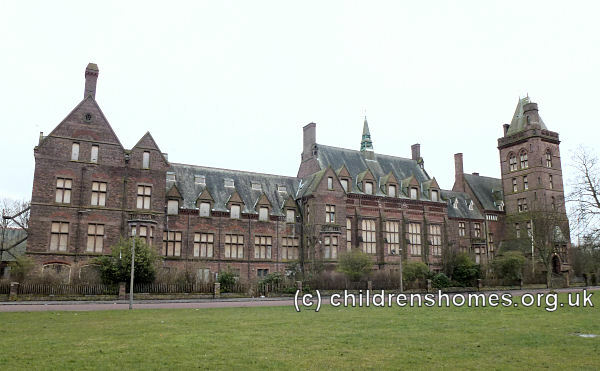 In 1951, the Newsham Park site was sold to the Ministry of Health for £125,000 and re-opened in 1954 as Park Hospital. The charity decided to continue the aims of its founders by supporting orphaned seamen's children through grants for their maintenance, education, or other needs, a role that continues to this day. The Park Hospital closed in around 1988. After standing empty and boarded up for many years, there are plans to refurbish the building as a restaurant and event venue. 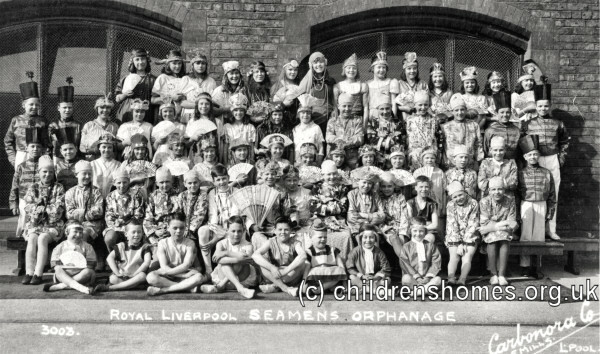 Royal Liverpool Seamen's Orphan Institution, 2nd Floor Tower Building, 22 Water Street, Liverpool L3 1BA. 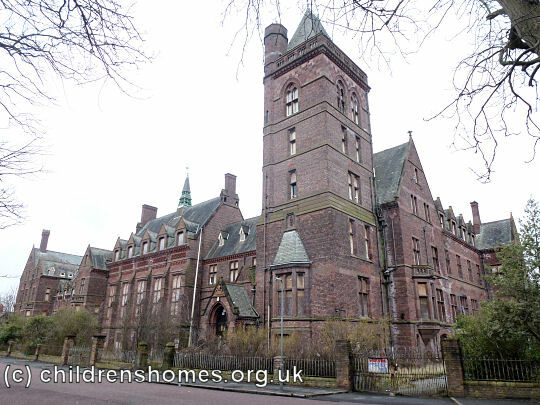 Project Newsham Park — A chronology of the orphanage.